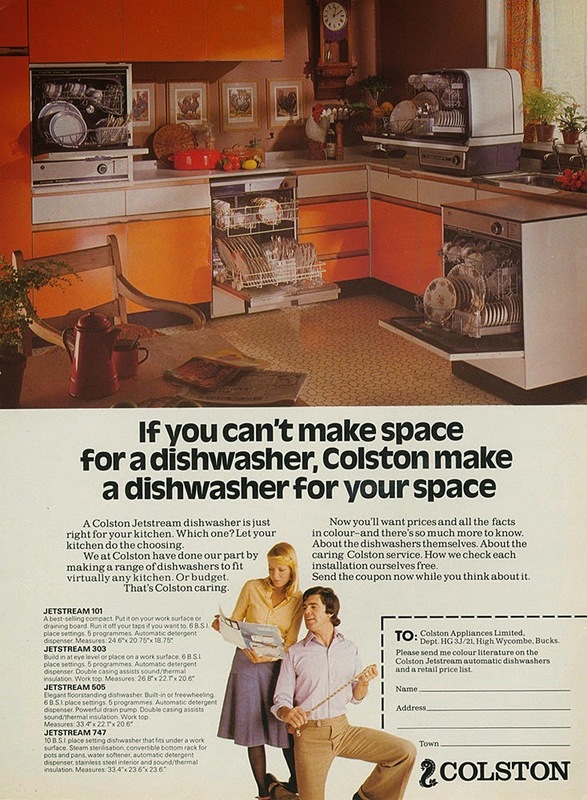 From what we see here, I'd venture that space for a dishwasher is not the problem with this 1972 kitchen. Rather, it seems that somebody in the household has an uncontrollable urge to purchase massive quantities of glassware and china. How else to explain the presence of no less than four of the appliances in the room?